Thoroughly redesigned from stem to stern, the all-new third generation C/K trucks for 1973 proved to be the longest lived series in Chevrolet’s history and the three-box styling has proved quite popular since. Aside from wheels and hubcaps, there really wasn’t much that was round anywhere in the design other than the body sides that featured a sculpted character line with a central plateau panel as well as curved side glass, a first on a GM truck. This platform also featured GM’s first in-house built crew cab, and the Suburban finally got four doors like a normal station wagon. 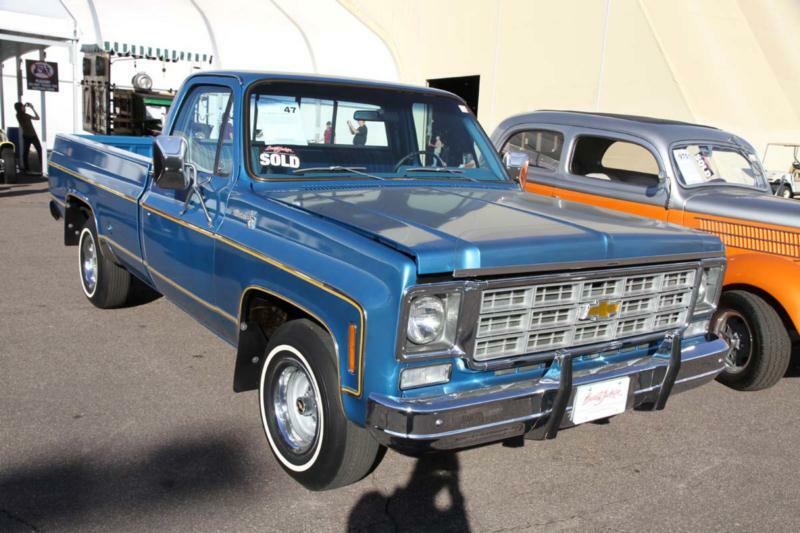 Chevrolet offered this cab with only a single front bench seat beginning in 1976. Called the “Bonus Cab”, it was something of a competitor to the Dodge Club Cab and Ford SuperCab. Trim lines were also revamped, ranging from the entry-level Custom to the Custom Deluxe, Cheyenne and top-end Cheyenne Super. They were shuffled for 1975, with the Scottsdale moniker replacing the Cheyenne Super as the top-of-the-line package, while the Custom series was deleted. The next year, Chevy was back up to four trim lines with the addition of the Silverado at the top of the series. By and large, this remained the trim hierarchy for the remainder of series production. 1980 had a one-year-only front end with a flatter front grille and square headlights. It proved to be a preview for 1981 and the rest of the production run, with an all new simplified front clip, new hood, and single plane grille. Powertrains generally continued as before, except that the 454 cubic inch big block replaced the previous 402. In 1978, GM’s 350 cubic inch V-8 diesel pickup was introduced, but 1982 saw a vastly improved 6.2-liter diesel introduced as its needed replacement. This engine was a contributing factor for GM to bid on a Department of Defense contract for the Commercial Utility Cargo Vehicle (CUCV), yielding a contract to build the military specification M-1008 and M-1028 pickups, M1010 ambulance, M1030 cab & chassis, plus M-2009 Command Vehicle (Blazer) from 1983-86. The 1987 model year - the final year of production - saw the series designators changed. The rear-wheel drive C-series became the R-series, then the four-wheel drive K-series were renamed the V-series. This was done to allow for concurrent production of its replacement early in 1987 of the all-new C and K models. 1988 then swathe introduction of the fourth generation C/K, which would itself continue until 2002.